the price of a cappuccino! Brew the perfect cup of cappuccino in just 20 seconds. 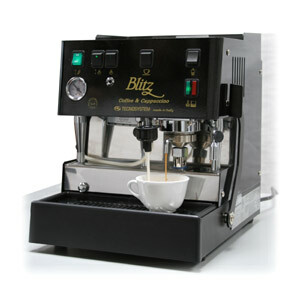 The BLITZ is portable -- no water connection is necessary -- and runs from a standard 110v outlet. Uniquely engineered to froth milk and brew espresso simultaneously, consistency and quality are guaranteed with every cup. 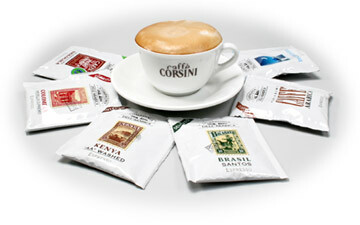 We offer the finest espresso roasted and packed in Italy. Espresso pods are pre-measured single serve filter packs, sealed in nitrogen flushed foil bags to ensure freshness and shelf life. We have over 10 pod varieties available from all different regions of the world. Espresso shots eliminate product waste while providing portion control and accountability.